I converted 10 days worth of spam subject lines from my personal email into morse code using this Morse Code Converter. Then I found themes and colour coded them (see below). 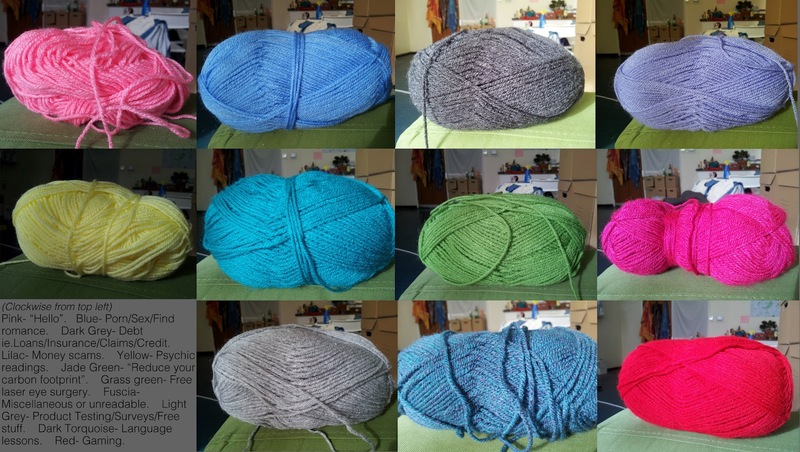 Using knit as (-) and purl as (.) 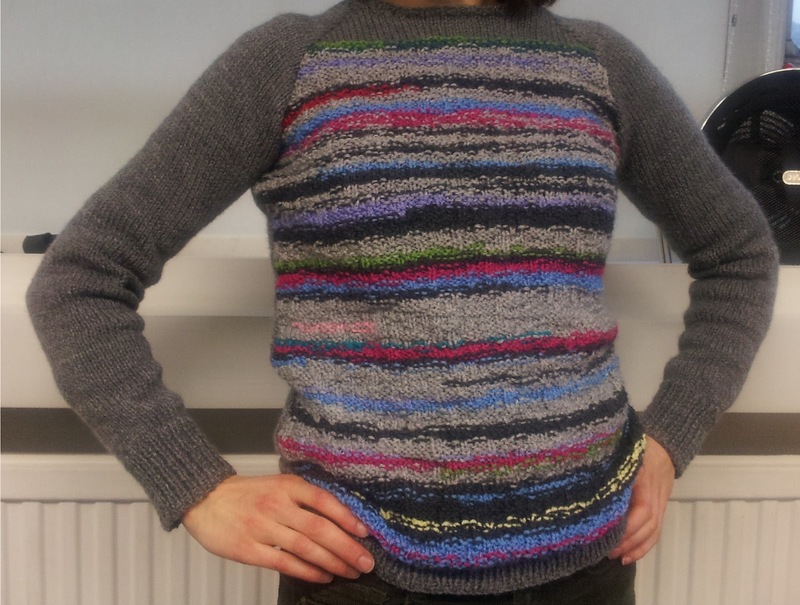 I knitted the front piece of my jumper using the morse-spam as a pattern. 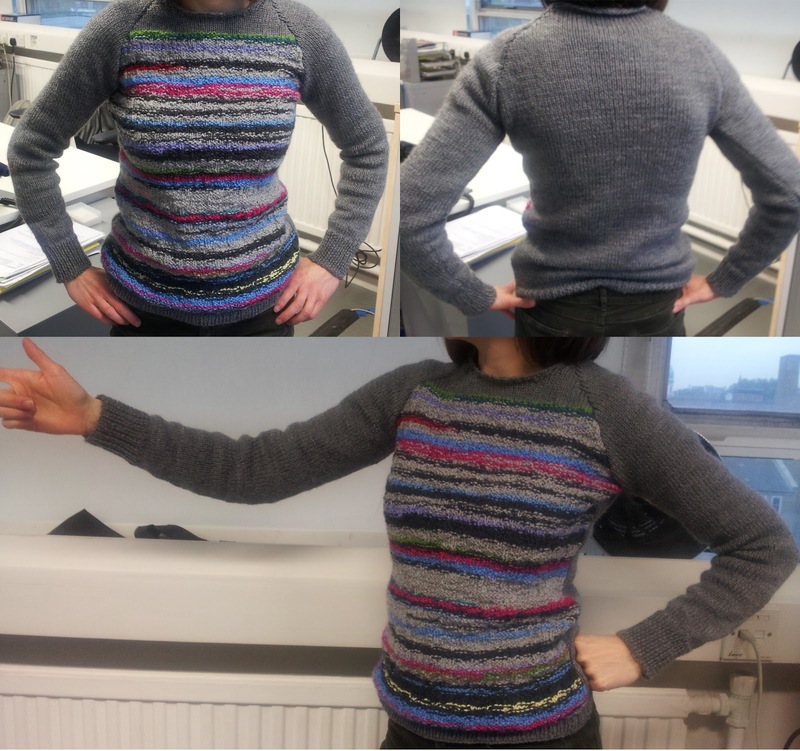 I really wanted to wear this last week at the Digital Sizzle show in the Whitechapel Gallery. 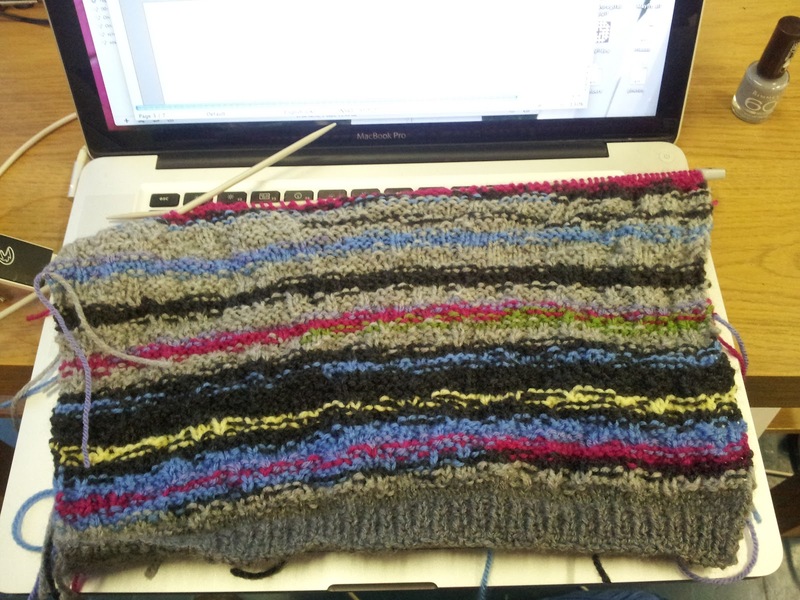 It was a bit ambitious though – knitting a whole jumper in a week. Two weeks though, and I’m on the final stretch. Should be sewing up tonight. 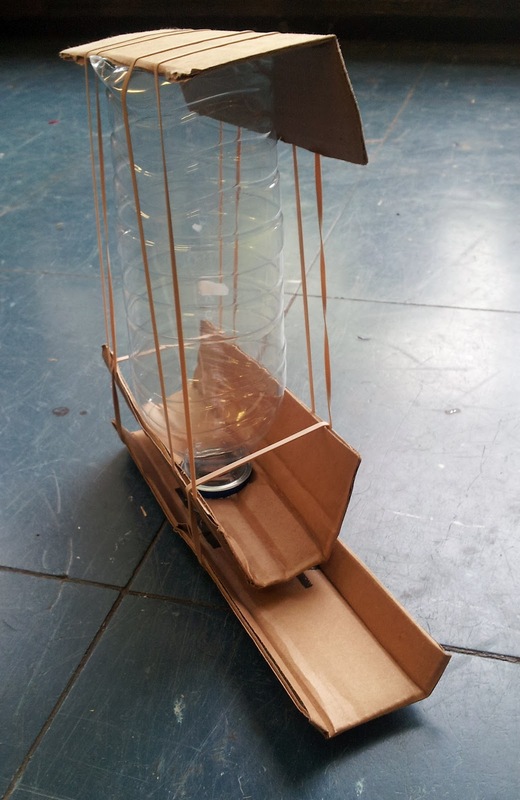 I made this at the Hackathon. It’s not finished yet, but the aim is to have it release a single sweet for each spam email I receive. I’m working on the arduino part now.